T.I. and Tiny are set to premiere the final season of their reality TV show T.I. & Tiny: The Family Hustle. This will marks the sixth and final season of the VH1 show as the couple is set to get a divorce. T.I. confirm the news via Instagram saying “April 17. Weeeee’re Baaaaack!!! For the last time.” The Atlanta rapper also posted a pic of himself speaking at a recent promo event for the reality show. T.I. and Tiny Harris have been living apart for about a year now following a separation last year. 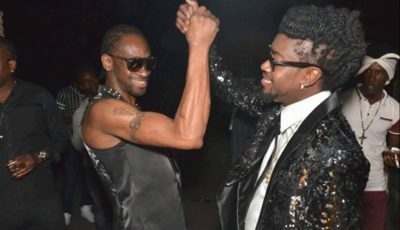 There was a point when it all seems like they were heading back for a reunion but then a video showing Tiny dancehall with Floyd Mayweather seems to have drove a permanent wedge between the couple. Sources are saying that the sixth and final season of the show will center around their marital struggles. Tiny recently got into a social media feud with T.I.’s alleged mistress Bernice Burgos. April 17. Weeeee're Baaaaack!!! For the last time.